To expose its children collection, Fred Perry window display has two balloons that are releasing their gases. 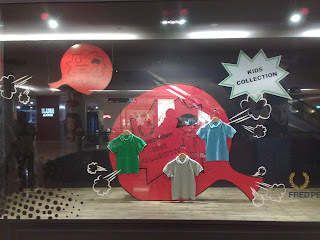 This cartoon like concept look playful and might interest the children who pass by the area. Unfortunately, they do not.